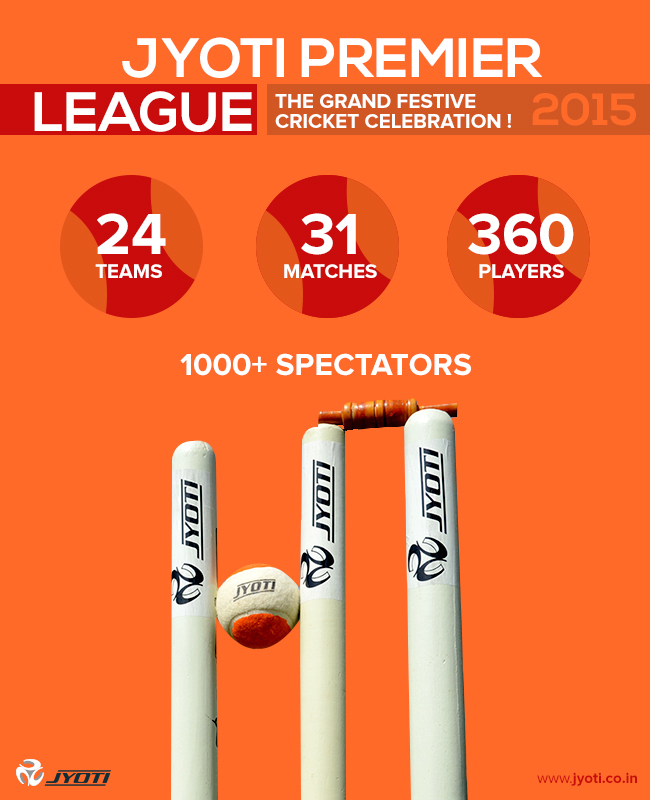 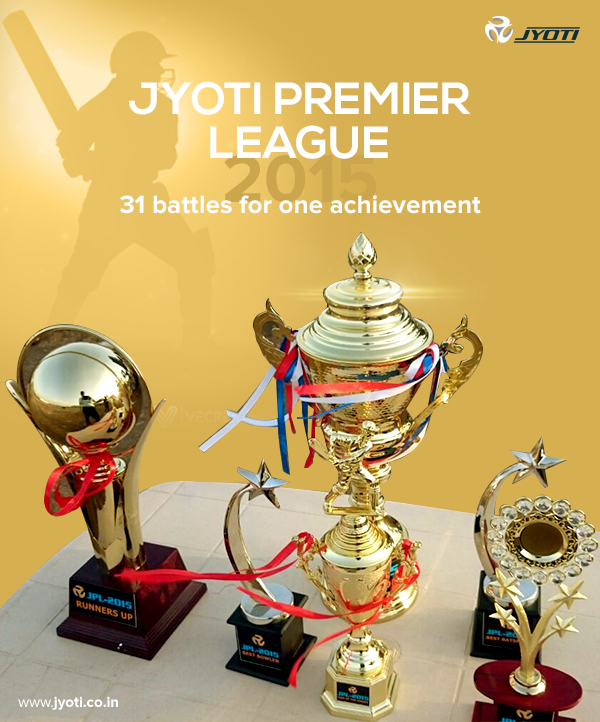 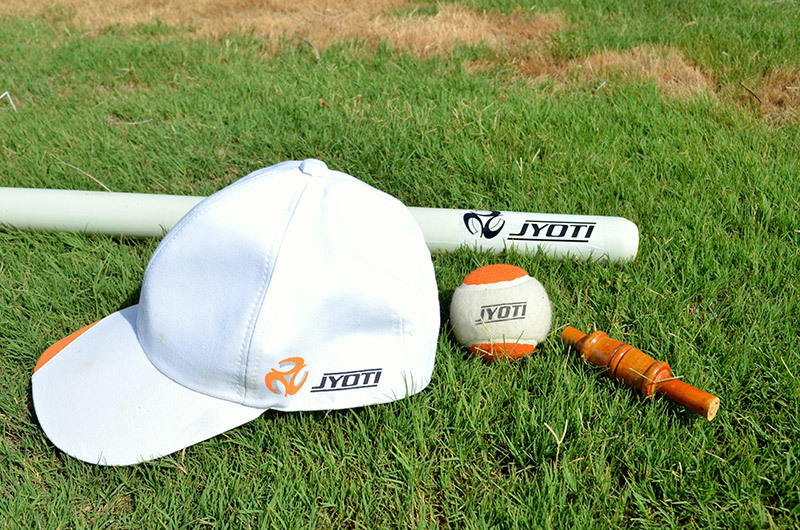 Jyoti Premier League - 2015 - Jyoti CNC Automation Ltd.
Bravo! 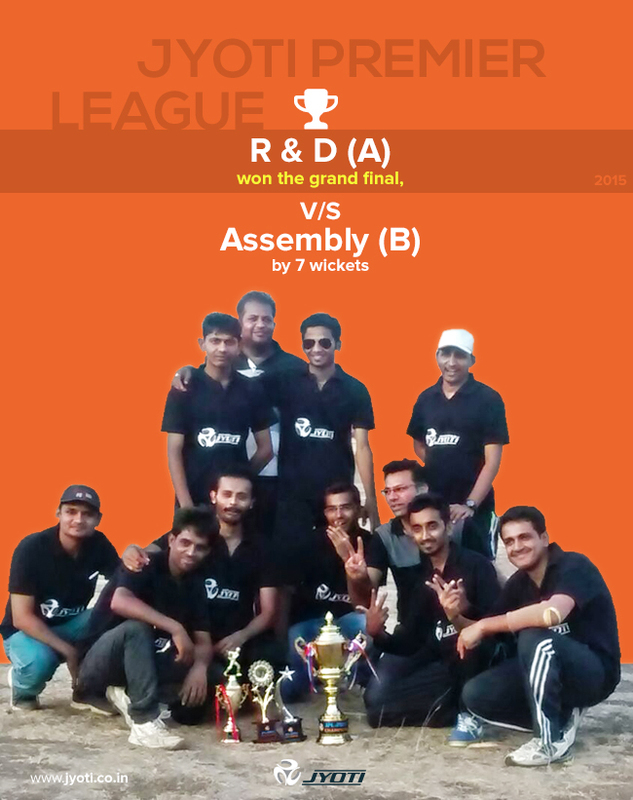 R & D (A) team, congratulations…. 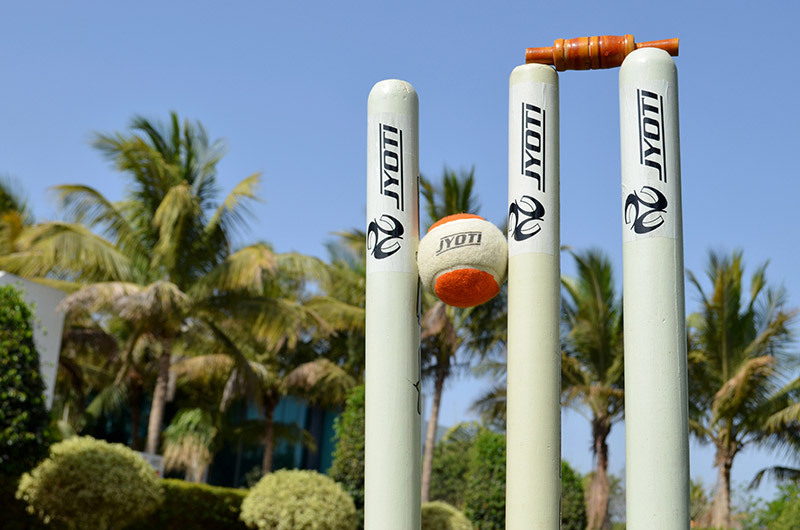 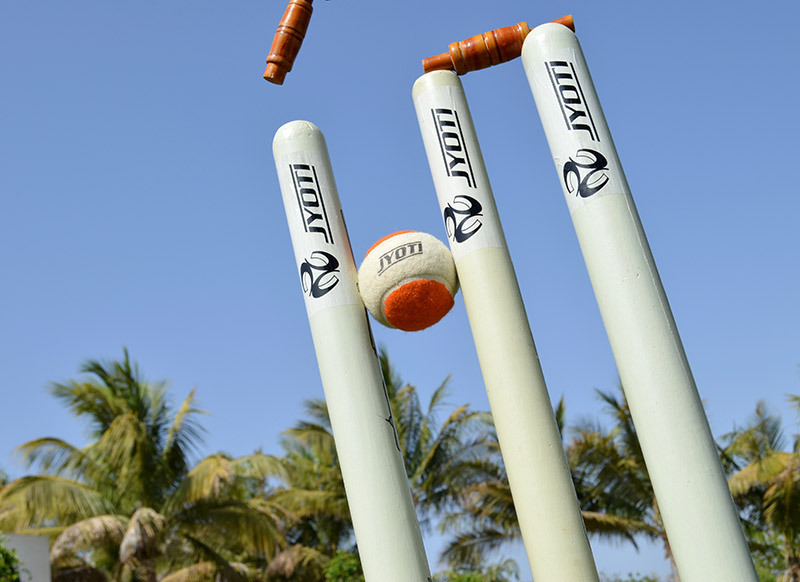 R & D (A) has won the grand final v/s Assembly (B) by 7 wickets.